Can you believe it is almost April? This weekend we will welcome the 1st FULL month of spring. I am a little in shock but also feeling very ready. But what this means is that we are also that much closer to summer, which means around Northern Michigan it is also house guest season. We love this season of spontaneous and planned visits from family and friends that make us feel like a rotating bed and Breakfast to those we love the most. This year especially these visits will be so welcomed so we can show those who supported us all these years our new home, but it also means it is time to get serious about where they will rest their heads while visiting. The room is just the right size for guests and has one of the best views in the whole house in my personal opinion so our guests should be thoroughly spoiled when during their visits this summer and fall. 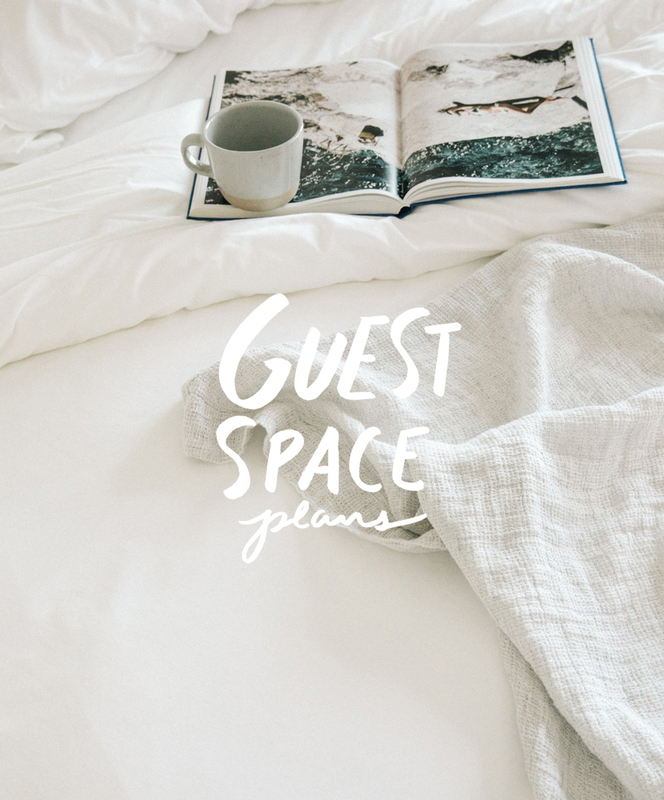 But a guest room is more than just that, so I thought I would talk today about how we will be putting it together this spring in preparation for our friends and family visiting in the coming season. First of all, as you can tell most of our home is quite minimal. I like this simple, and purposeful in our home, but I also love for things to feel warm and comfy. I strongly believe you can find a balance between minimal and comfort and so far I feel we are on a good roll. 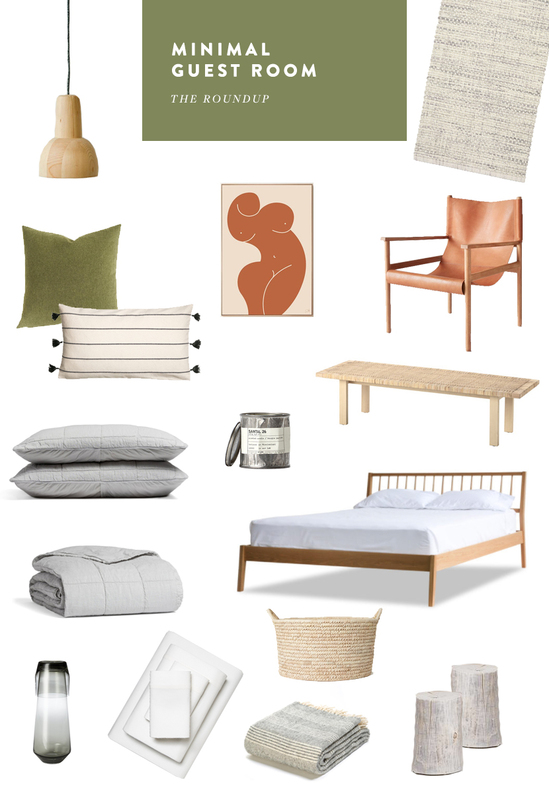 This will be the first of our bedrooms to come together. We are currently waiting to upgrade our mattress to a king before we get too serious about what we will do in our room, but felt we could invest in this room first since it will be used and loved through this upcoming season. That said, here is some of the inspiration I have had for the room. To put it all together, I am pulling together the below items or similar ones over the coming months to create this space. Personally, I cannot wait to see our Hedge House Furniture bedframe I ordered in this room. I have loved that frame for YEARS and knew it would be perfect in our home. Then when it was on Sample Sale I knew it was meant to be. Cannot wait!! So excited to see our space come together and to make a little oasis for our guests to come and stay while they are enjoying this area during the most beautiful time of year. 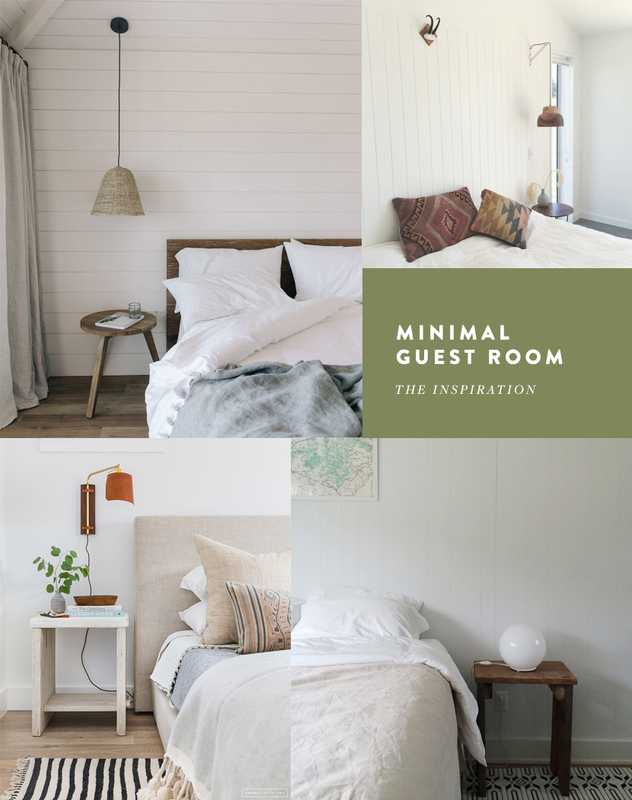 Your moodboard is lovely, but 3 out of your 4 inspiration photos look like incomplete and inhospitable rooms. Tiny nightstands like those tree stumps are really inconvenient when you’re away from home–where are your guests supposed to be put the things they would keep *IN* their nighstands at home? When I travel, my nightstand is always cluttered with the jewelry I took off, my phone and charger, lip balm, lotion, face cream, A water glass, and any number of other things I need handy and have no convenient drawer for. And hanging bedside lamps that will have a bare, glaring lightbulb and difficult to reach switches would really upset me. Your aesthetic is beautiful and I have loved looking at the photos of your new home, but i’m Guessing a lot of your guests will feel like the room is a bit barren, or at least I would. Wow 158 for a green pillow and 50 for a candle? Not sure hOw minimalist that is. I like your blog but i guess to each his Own If a pillow and Candle are That IMPORTANT to You. Thanks for your comment and thoughts. Every mood board and roundup is intended to be inspirational and not literal. Some things will be used and others are just for concept. Every look can be done at various price points. Love your ideas for a lovely and serene guest Room. Your guests will be so fortunate to have such a gorgeous retreat. Thanks!